Ubisoft recently released a trailer for their upcoming Assassin’s Creed Chronicles: India video game, which is the second instalment of their Assassin’s Creed Chronicles spinoff series. These games are not set in a three dimensional world like the major Assassin’s Creed games such as last year’s Syndicate, but are rather “2.5D” games more similar to the old Prince of Persia series. Actually, the exotic colonial India setting of this instalment, and the game’s plot, in which protagonist Arbaaz Mir has to protect his lover princess, will bring back memories of the original Prince of Persia game by designer Jordan Mechner. That game was a two-dimensional side-scrolling adventure in which the beleaguered Prince of Persia had to rescue the princess from the clutches of an evil vizier, and featured great platforming action and swordfights. And it is clear that both Assassin’s Creed Chronicles: India and its predecessor, which was set in China, are very close in look and feel to the old Prince of Persia games. But the Chronicles games offer much more than the old games by Jordan Mechner, of course. In Ubisoft’s modern incarnations one can perform the iconic Assassin’s Creed leap of faith, carry out assassinations with the trusty hidden blade and also offer stealth options such as using smoke bombs to evade enemies, as can be seen in the game’s trailer above. There’s more to the game’s plot too, as like other Assassin’s Creed games this spinoff offers a rich historical setting. 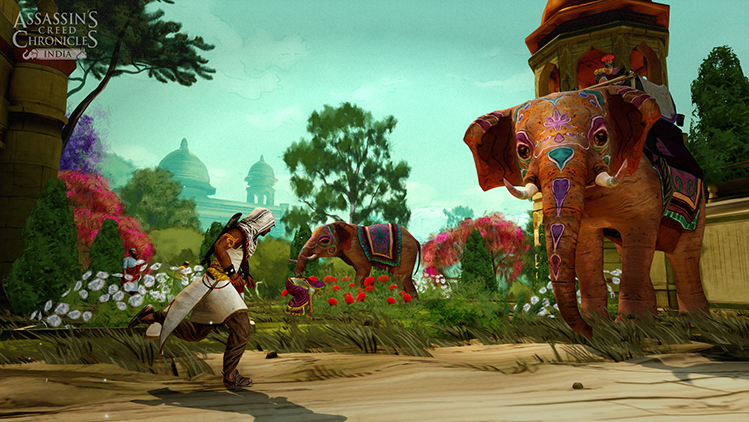 Protagonist Arbaaz Mir finds himself in the middle of a conflict between the Sikh Empire and the East India Company in the 19th century, and like in other Creed games must battle the nefarious Templar order, in this case to prevent them from stealing the fabled Koh-i-Noor diamond, according to the Ubiblog. This new Assassin’s Creed Chronicles game will offer Prince of Persia-style gameplay. So it is clear that there’s much more to this game’s story than the “rescue the damsel in distress” theme of the Prince of Persia games of yore. And even though it is not clear whether Ubisoft will release another Prince of Persia game any time soon, or whether we’ll be getting a major Assassin’s Creed game this year as it’s rumoured that the next big entry will be postponed until 2017, at least the Assassin’s Creed Chronicles games are a nice diversion that draw inspiration from some of the great games of the past. And Ubisoft will also be releasing another instalment next month which takes place in another Asian setting (Russia), giving Assassin’s Creed fans another Eastern adventure to sink their teeth into until the next major game in the franchise is released. 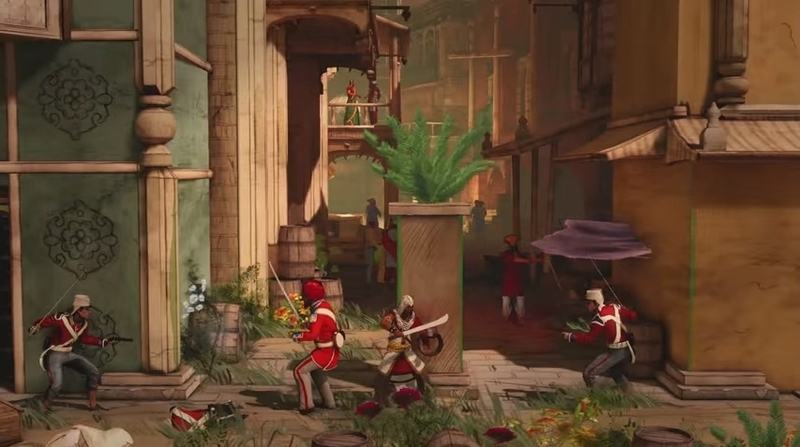 Note: Assassin’s Creed Chronicles: India will be released on January 12, 2016. It will be available on PS4, Xbox One and PC.